The Nuheat Mat Sense Pro is a battery powered Nuheat mat & cable tester. This small device tests for both ground faults & open circuits. It features both lights and siren which would alert the installer of any problem immediately. 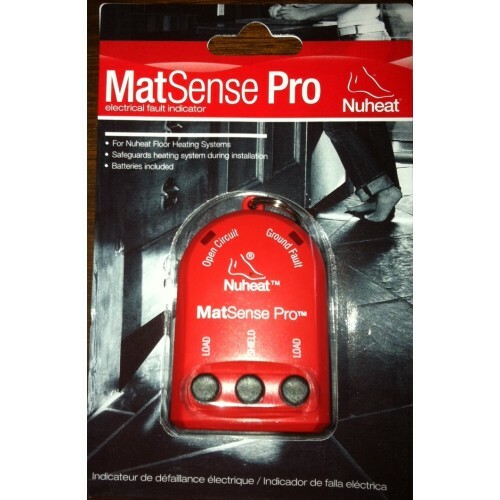 The use of a Mat Sense Pro is recommended for all Nuheat installation.